Since 9/11, the Departments of Defense and State have worked to build the capacity of foreign partners to address security threats—for example, by training and equipping foreign security forces. However, the rapid increase in these efforts has led to questions about whether these agencies are adequately coordinating (and not duplicating) efforts. This report provides a fiscal year 2016 inventory of DoD security cooperation and State security assistance efforts that may be used by the U.S. government to build foreign partners’ capacity to address security-related threats. See Data Fact below for a quick breakdown. The author utilizes SAM’s data in an article discussing the increase in special forces training in Central Asia for counternarcotics and transnational organized-crime missions over the last two years. This article states that Secretary of State Tillerson decided to lift all human rights conditions, previously imposed by Obama, on a major sale of F-16 fighter jets and other arms to Bahrain in an effort to end a rift between the United States and a critical Middle East ally. This article discusses how Defense Secretary Mattis request to lift Obama-era restrictions on U.S. military support for Persian Gulf states engaged in a protracted civil war in Yemen would mark a significant U.S. policy shift. 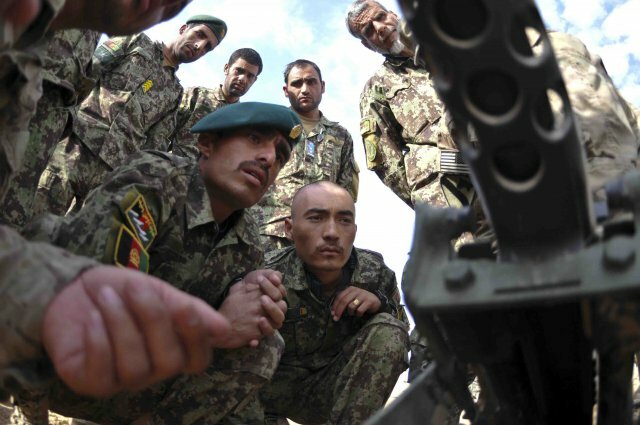 This article reveals that 1,394 army personnel, including several generals, have been fired in connection with corruption charges in the past year according to Afghan defense officials. This article states that Trump approved a decision to allow U.S. special operations forces to accompany Somali National Army troops and other African allies, enabling them to call in offensive airstrikes quicker. This op-ed argues that Trump could defeat ISIS in Iraq and Syria if his administration prioritizes stabilization efforts that include the State Department and foreign aid agencies, both of which he has threatened with budget cuts. This article offers three key points from political science research on the benefits of U.N. peacekeeping for the United States. This book provides an analysis of both the theory and practice of the African Union’s attempts to protect civilian populations through its peace operations. This analysis states that the threat of U.S. budget cuts allows the UN to propose changes on its own terms that will decrease its peacekeeping budget by ceasing to use peacekeeping as a substitute for political solutions. This report states that a spike in civilian casualties from both US-led coalition airstrikes and ground fighting between the Iraqi military and IS fighters in recent months has raised serious questions about the lawfulness of these attacks. This report looks at the bilateral security relationship in its most recent historical context and how it has evolved in order to identify a number of options for building on and improving this relationship. A recent inventory by the U.S. Government Accountability Office determined that there were 194 Defense (DoD) and State Department (State) security cooperation and assistance efforts in 2016. DoD had 56 efforts that did not require State involvement and 87 efforts that did. State had 22 efforts that did not require DoD involvement and 30 efforts that did. This note stipulates that the Purchaser agrees that the defense articles, components and associated support materiel will not be transferred to or controlled by any Foreign Terrorist Organization as designated by the U.S. Secretary of State, and that they shall remain in the possession, under the operational control of, and be used only by officers or employees of the designated Ministry unless the written consent of the USG has first been obtained. This briefing reaffirmed the close partnerships of Egypt and Jordan with the U.S., stated that Trump supports al-Sisi’s ambition to develop a comprehensive counterterrorism approach, and confirmed that Jordan shares the priority of defeating ISIS. Check out past Weekly Monitor's here.